Group Sail - Beneteau 36, Yoda! Marina del Rey, CA March 3 $45 $90 A fun day with fellow Blue Pacific sailors! 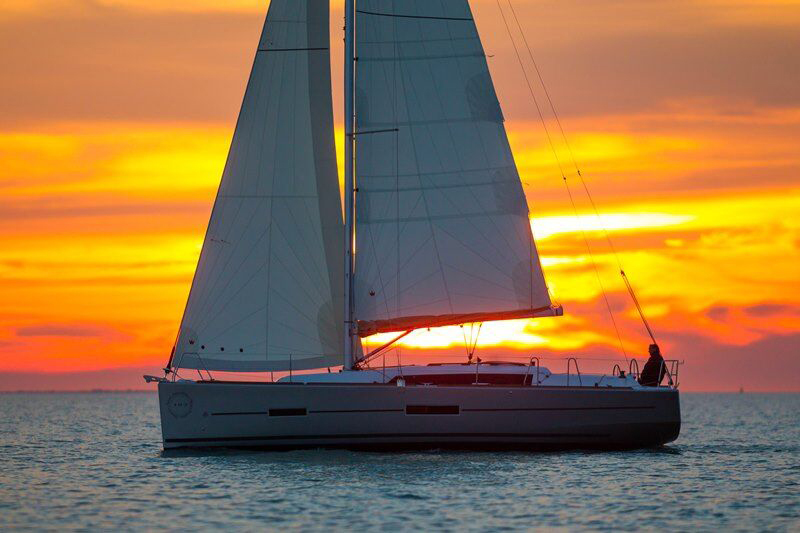 Share the cost of a day sail on the newest addition to our fleet. We're so excited to welcome Yoda! Group Sail - Beneteau 36, Yoda! Marina del Rey, CA April 7 $45 $90 A fun day with fellow Blue Pacific sailors! 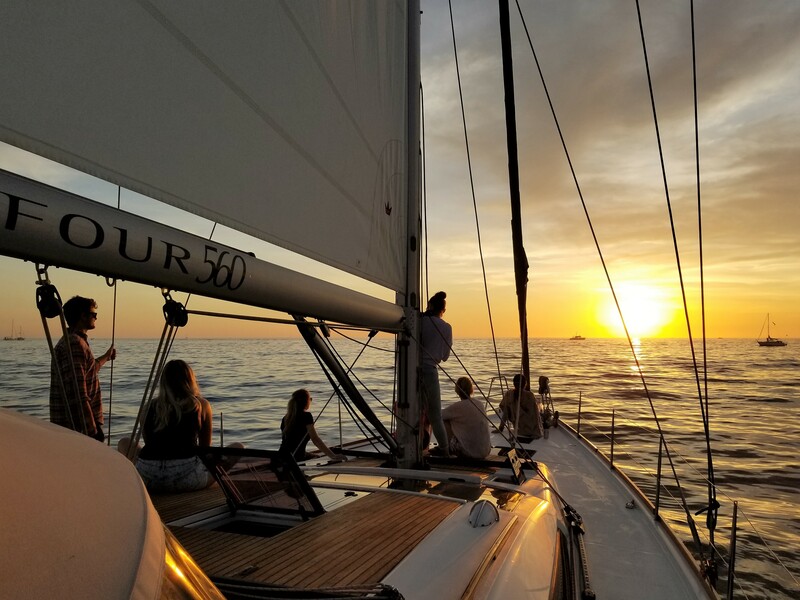 Share the cost of a day sail on the newest addition to our fleet. We're so excited to welcome Yoda! Group Sail - Beneteau 36, Yoda! Marina del Rey, CA May 5 $45 $90 A fun day with fellow Blue Pacific sailors! Share the cost of a day sail on the newest addition to our fleet. We're so excited to welcome Yoda! Group Sail - Beneteau 36, Yoda! Marina del Rey, CA June 2 $45 $90 A fun day with fellow Blue Pacific sailors! Share the cost of a day sail on the newest addition to our fleet. We're so excited to welcome Yoda! Group Sail - Beneteau 36, Yoda! Marina del Rey, CA July 6 $45 $90 A fun day with fellow Blue Pacific sailors! Share the cost of a day sail on the newest addition to our fleet. We're so excited to welcome Yoda! Group Sail - Beneteau 36, Yoda! Marina del Rey, CA Aug 4 $45 $90 A fun day with fellow Blue Pacific sailors! Share the cost of a day sail on the newest addition to our fleet. We're so excited to welcome Yoda! Group Sail - Beneteau 36, Yoda! Marina del Rey, CA Sept 8 $45 $90 A fun day with fellow Blue Pacific sailors! 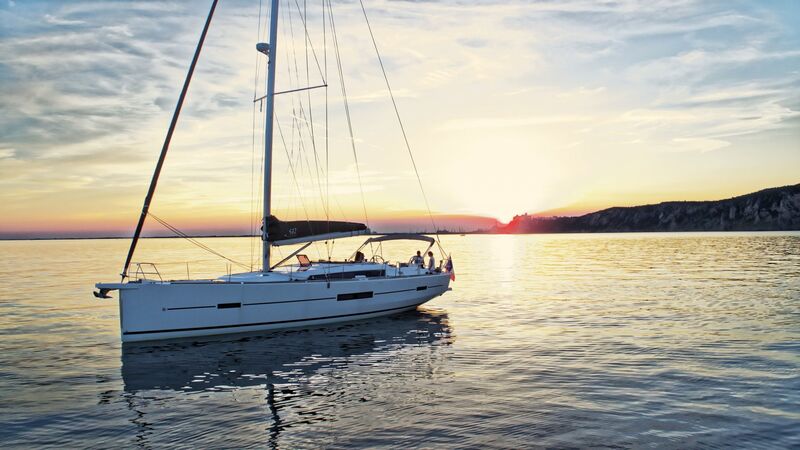 Share the cost of a day sail on the newest addition to our fleet. We're so excited to welcome Yoda! Group Sail - Beneteau 36, Yoda! Marina del Rey, CA Oct 6 $45 $90 A fun day with fellow Blue Pacific sailors! Share the cost of a day sail on the newest addition to our fleet. We're so excited to welcome Yoda! Group Sail - Beneteau 36, Yoda! Marina del Rey, CA Nov 3 $45 $90 A fun day with fellow Blue Pacific sailors! Share the cost of a day sail on the newest addition to our fleet. We're so excited to welcome Yoda! 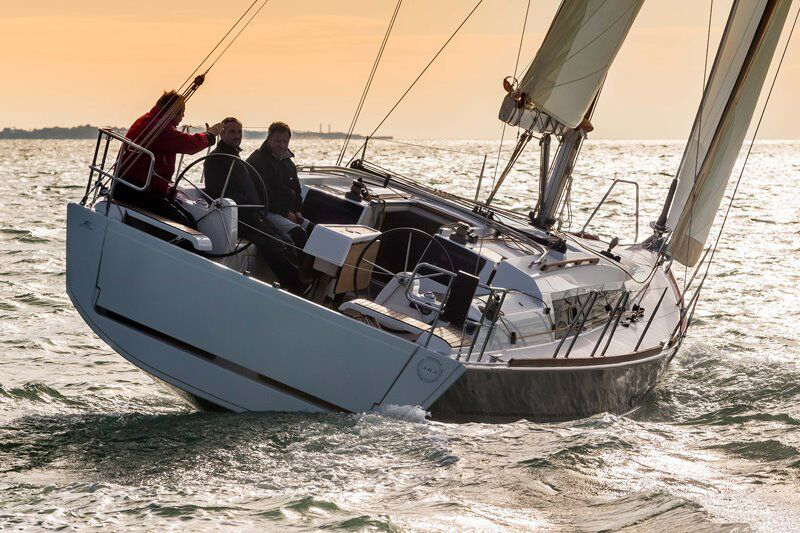 Group Sail - Beneteau 36, Yoda! Marina del Rey, CA Dec 8 $45 $90 A fun day with fellow Blue Pacific sailors! Share the cost of a day sail on the newest addition to our fleet. We're so excited to welcome Yoda! Every sailing destination has its own unique charm and attraction. Regardless of how far and wide sailors’ curiosity and ambition take them, they always remember their first…sailing port that is! Thousands of new sailors learn to sail in Marina del Rey every year. 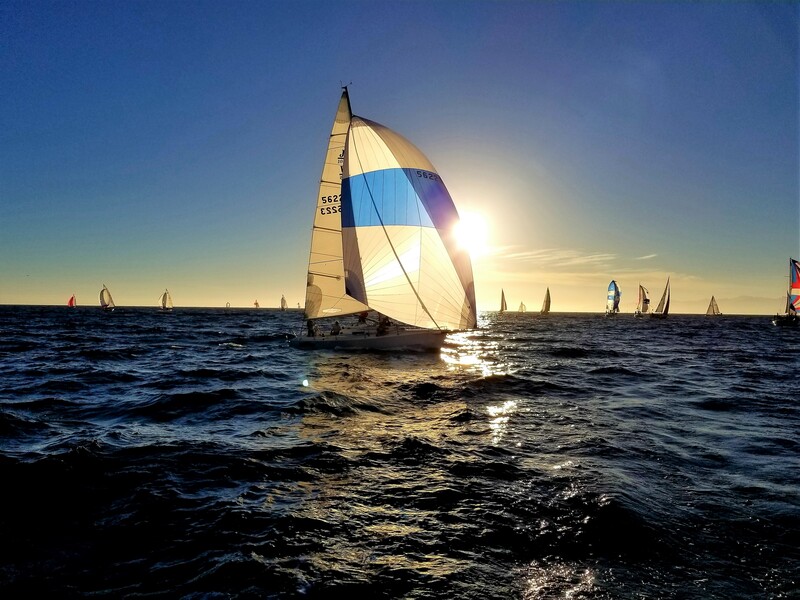 Ask any Marina del Rey sailor why he or she loves to sail here and you will probably get an earful. You will definitely hear comments about the weather. 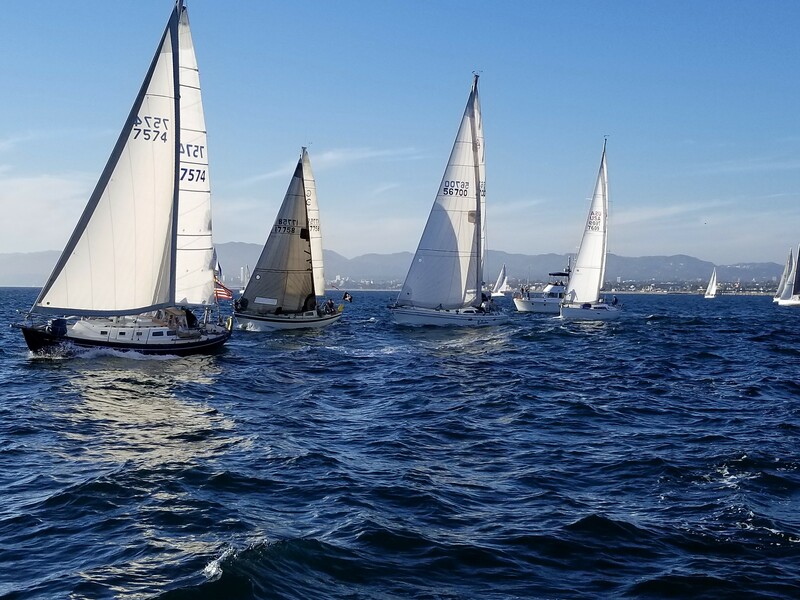 You can’t beat Marina del Rey weather for sailing. On average, there are 284 sunny days per year in Los Angeles. The July high is around 80 degrees, not too hot but hot enough. In the winter months, you might see an occasional rainy day, in the mid-50s. The next day it could be sunny, in the 70s. 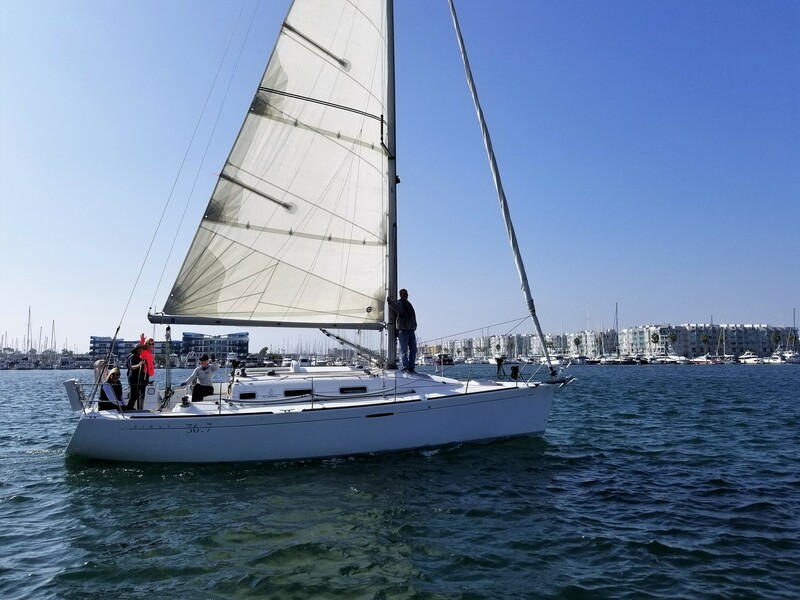 You can sail nearly every day of the year in Los Angeles, Marina del Rey. Marina del Rey sailors have another gigantic benefit, predictable winds. Spring, summer and fall, you can expect wind out of the west, building from 9 A. M. to 11 A. M. to a high of about twelve knots. Recreational sailors the world over would kill for these predicable, consistent and favorable winds. We have them. Then there’s water depth. You simply can’t run aground off the Los Angeles coast…that is of course unless you wind up on the golden, sand beach that lines our shores. If that happens, you have bigger problems. There are more reasons to sail in America’s Most Sail-Friendly Harbor but that leads to another question. Why sail with Blue Pacific Yachting? 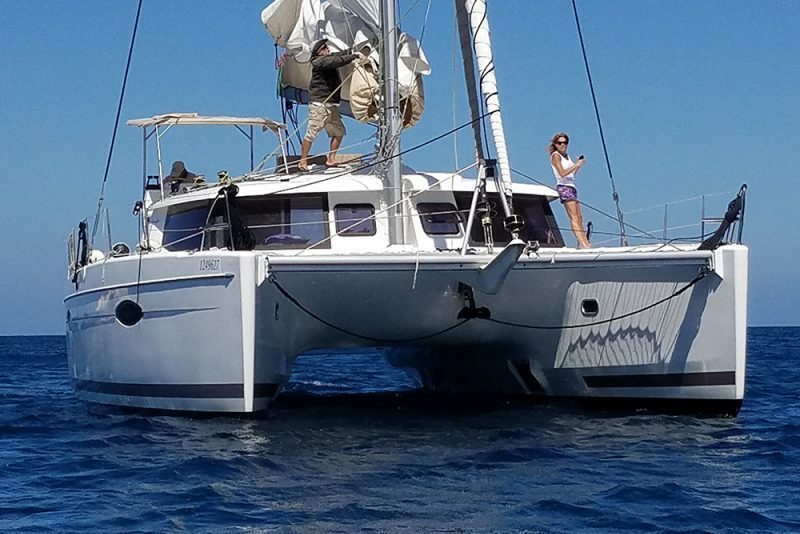 Boats – Blue Pacific Yachting offers an eclectic and comprehensive variety of sailboats for instruction, sailing by our members and chartering by the public. Our fleet includes everything from the safe, manageable 25 foot Merit 25, to the luxurious, comfortable Lagoon 380, 38 foot catamaran. People – Our staff of dedicated sailing professionals puts their combined decades of experience at your service. 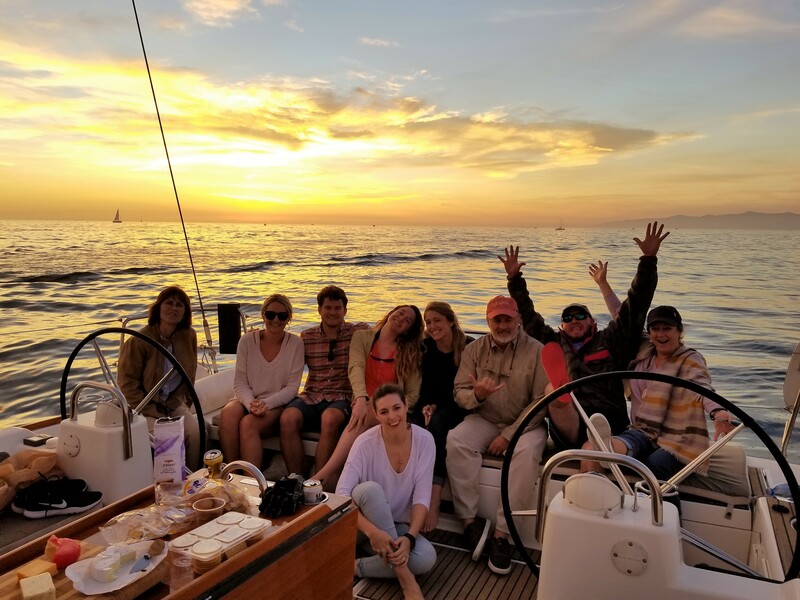 Every Blue Pacific Yachting/Marina del Rey employee takes pride in the service he or she provides to you, the sailing public. While our staff focuses on your convenience, comfort and safety, they never lose sight of one simple fact. SAILING IS FUN! 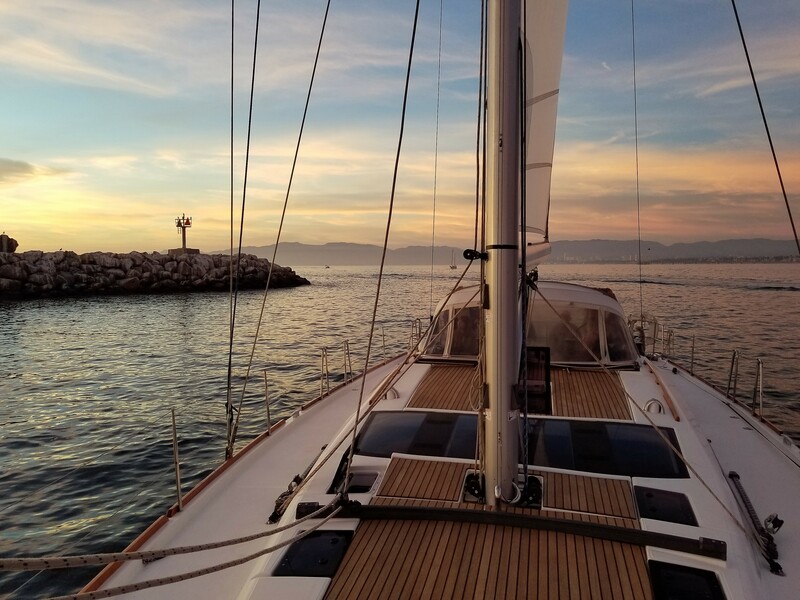 Experience – Blue Pacific Yachting has served the needs of the Marina del Rey sailing public for more than 20 years. 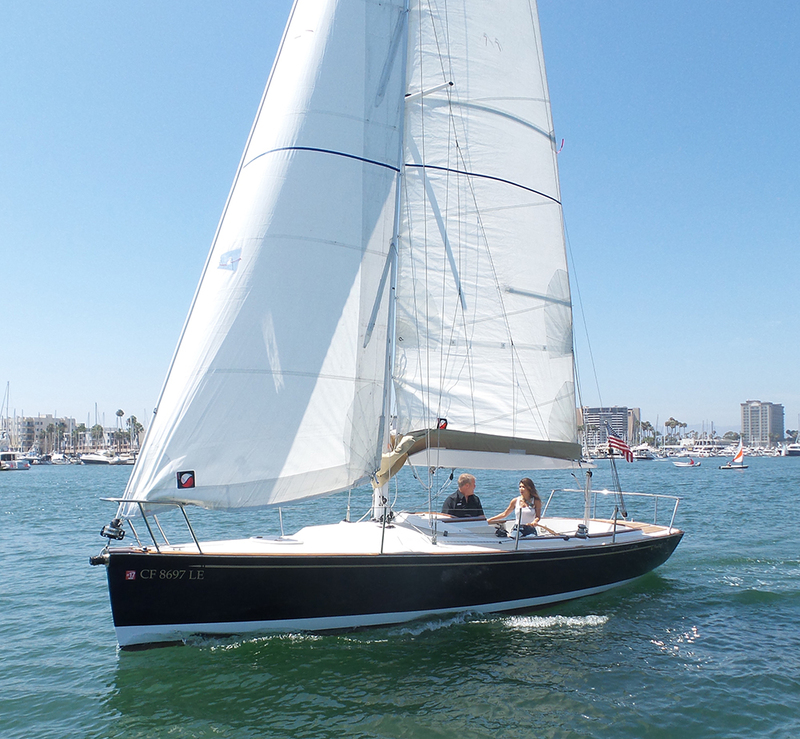 We know anything and everything about sailing in Los Angeles, Marina del Rey. Just ask! Just finished ASA 101 and 103 with Captain Geza as our instructor. I learned a lot in the week long course and really appreciate Geza’s approach and…able. Il ya tellement de choses positives à penser. We had the best time on the Kendra this past weekend! The staff was knowledgeable and incredibly helpful. Smooth sailing because of them!d where I can improve together with the toolkit to progress.